If you don't comply with legal requirements, such as microchipping and registration you can be fined. Under animal cruelty legistlation, if you mistreat or fail to properly care for your cat you can be prosecuted and face fines, jail or a ban on owning an animal. All cats three months of age and over must be registered with Council. Existing registrations must be renewed by 10 April each year. If registered for the first time, cats must be microchipped prior to registration. Permits are required when there are more than a certain number of dogs or cats kept in a household. 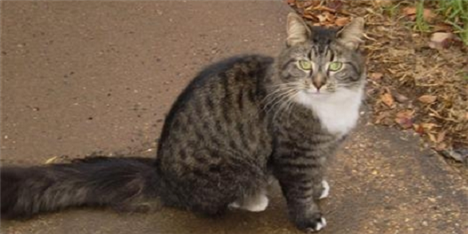 If your cat is found wandering off your property and is not identified, he/she can be seized and impounded. Your cat's Council registration tag should be attached to an elasticised collar or safety collar that breaks away if he/she gets caught on something. The collar should be firmly fitted - you should be able to fit two fingers comfortably between your cat's collar and its neck. It is a good idea to place a bell on the collar too, to alert any animal that your cat may try and stalk and catch. Serious problems can occur if cats are allowed to roam outdoors, particularly at night (around 80% of accidents involving cats happen at night). Legally, if you let your cat trespass on other people's property more than once, he/she may be seized and impounded. Council may issue an order to stop your cat trespassing, and if you don't comply you can be fined. Feral Cats Feral cats are cats which have never been domesticated and are truly wild animals.